Had Samizdata or the internet existed on this day in 1933, Presidential Proclamation 2065 would undoubtedly have been Quote of the Day, and probably Quote of the Year as well. Prohibition of alcohol in the US only lasted thirteen years. Of course that was time enough to give the Mafia their start, corrupt thousands of policemen and judges, and turn millions of previously law-abiding Americans into criminals, but in retrospect I stand in awe at how quickly the America of eighty-five years ago acknowledged and corrected its mistake. Pity the same was not true of the ongoing and equally disastrous prohibition of drugs. 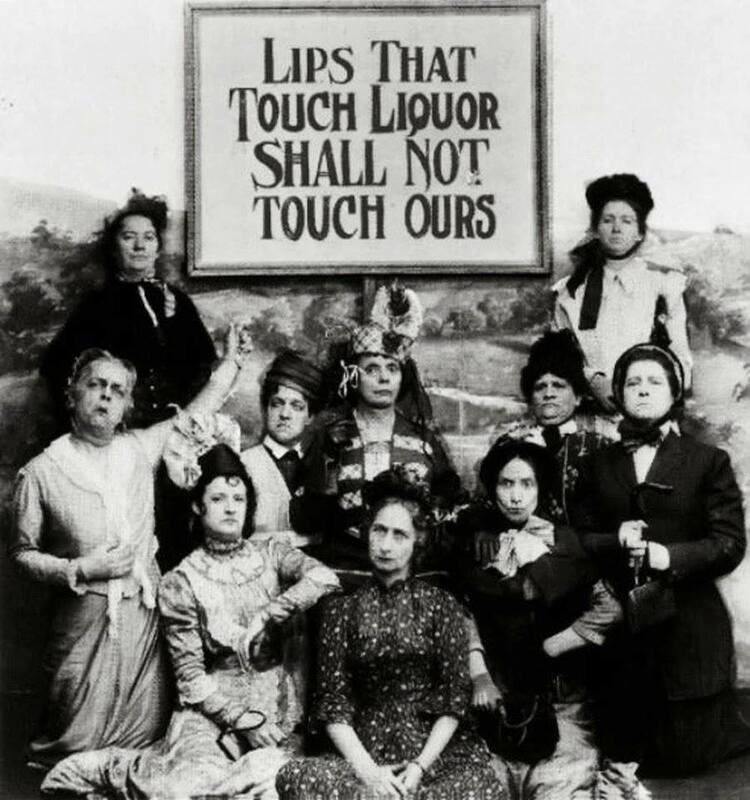 Of course the irony is that the prohibition of alcohol required an amendment in the first place. Apparently no such amendment was required to prohibit other intoxicating substances. As I am sure we all know that had nothing to do with the fact that alcohol was the preferred drug of the white man, and opium the preferred drug on the yellow devil (or in their turn cocaine the drug of the insane black man, rapin’ and murderin’ out white wimn’ folks or marijuana the drug of the lazy Mexican sloths.) Nope, I am sure the two are entirely disconnected. FWIW, we still have amazingly strict regulation of alcohol here in the USA. You will regularly see signage in stores saying “If you look under 40 we will card you for alcohol.” What I find particularly curious is comparing my experience growing up in Scotland and the experience here. When I was in college people didn’t really drink to get utterly wasted, I mean it happened but it wasn’t the goal. They did if for fun and for the intoxicating effects. Here getting blasted is the goal. And what do you expect when college kids can’t even buy a beer legally? I might add that on the flip side, in Europe there is an intense social pressure against drinking and driving. But here there really isn’t. It is common and accepted. Which is all part of the general irresponsibility with regards to alcohol that has been built into American culture in part because the the nanny state making all your choices for you. I love to tell the story that I learned from someone who sold those plastic rings for holding bottles and cans together. For a long time Texas was the only place you could buy a two-pack of beer. Why? Because apparently two beers is all you can drink before you have to pull your car over and use the bathroom. My understanding is that prior to the Treaty of Versailles the drug market was not quite as free in Britain as we sometimes think. My understanding (again) is that before the First World War opium and cocaine were only available through pharmacists, the customer had to be known to the pharmacist and the purchase had to written in a ledger. Cannabis was pretty much unknown. In the War all sorts of restrictions were introduced to prevent drugs getting into the hands of soldiers. Why? one wonders. Yes. 98 years ago (actually, we’re just one month short of 99 years) our ancestors had the wit to understand that nationwide prohibition of alcohol required a constitutional amendment. A generation or two later we forgot that, and we’re still suffering the consequences. Laird, by “a generation or two later” the Const. was already in the process of being well-shredded. After all the Constitution was by then already a century-and-a-half old. A dead letter. What we needed was a Const. pertinent to today’s values and circumstances. Where we don’ need no stinkin’ Amendments. Fraser Orr, I suspect the reason they got so much pushback on booze and not on drugs is drugs were not widely used at the time of prohibition. It’s always easier to make someone else’s vice illegal in a democracy. In practice, this means anyone who appears under the age of 25 will be carded for all but the 15- and 12-Certificate media. There are even other notices (as far as I understand it, Holyrood-issued, since I’ve seen identical ones elsewhere) to that effect. And, of course, nowadays kids here do drink to get wasted. Funny how that happened. For that you can thank Wayne Bidwell Wheeler of the Anti-Saloon League. It was his bright idea to do it as an amendment to the constitution rather than plain legislation because they were losing momentum and they needed a ban on alcohol that couldn’t be repealed. The 21st Amendment proved him wrong, but fortunately for him he didn’t live long enough to see all of his work undone, dying of kidney failure in 1927, 5 years before prohibition ended. JG, Really! That’s interesting. I never knew that. Thanks. ETA: About the movement losing steam as the motivation — I’d like to read more. Do you have a link? The other interesting thing that happened is that with the booze prohibition ended, over half the “revenoors” were technically out of a job. No more smashing stills, raiding speak-easies and ambushing booze shipments from Canada, etc. So, they decided to “regulate” firearms sales,specifically interstate transfers and the possession of certain classes, particularly “machine-guns” and “short-barreled” rifles and shotguns. Thus the Treasury Department’s own private army, the BAT became the BATFF, the worlds most heavily armed tax collectors. Now the BATFE, having decided that micro-managing the sale and possession of explosives was too much for any other agency to handle. I suspect that Italy’s Guardia di Finanza would outgun the c.5,000-strong (? )ATF, they are some 68,000 strong, almost as large as the current British Army. Woe betide the Italian merchant who does not give you a receipt. What finally sold repeal was the Depression and the need for alcohol tax revenue. The American prohibitionists are still active and still aggressively insane. In the last few weeks, the public health officials in Mt. Vernon, Ohio, have been pushing for a law that would prohibit the sale and possession of vaping for adults 18 to 21 years old. This is a national movement supported by the FDA and EPA. Ironically, under the proposed law, 18 to 21 year olds would still be able to buy tobacco products. One of the many mind-extending things I learned from reading old books as a child was in the Sherlock Holmes stories. When not sufficiently occupied tracking down vile criminals and bringing them to justice, Sherlock would occasionally shoot up a 7% solution of cocaine. Dr Watson repeatedly advised Holmes against this: the books well communicated to me the idea that it was wise not to imitate the great detective in this particular vice. But the idea that it was then a vice – not a crime – was also communicated. Today, can we cease to call it a crime, yet be free to call it a vice? Dr Watson also dug out his trusty old service revolver whenever “the game was afoot” – without having to fill in any pesky forms or own any licenses, nor did he need to hide it before asking some bumbling Scotland Yard detectives to come and clean up the aftermath once Holmes had solved the mystery. Most other countries, if not all, have their own versions of the mafia, and corrupt police and judges. Lots of them are have more crime-ridden and corrupt societies than the USA. And they didn’t have alcohol prohibition at that time. True, but not relevant to Natalie’s point. When a society is the position – the rare and enviable position, as your comment indicates – of having avoided or got rid of its mafia (at least to the degree that gangs in e.g. New York, though very much there, were noticeably less dominant), then it is wise not to give the mafia perfect conditions for rapid growth. Historically, Natalie is right to point to those 13 years in the USA, just as a student of the mafia’s original creation is right to point to the period after the Sicilian Vespers in 1283. That said, it is interesting to speculate how the war on drugs would have gone if prohibition had never been. We’re far from drug-free in the UK, and we were not drug-free in the 1930s when cocaine was already illegal and the police active and yet the ‘bright young things’ could often get hold of it, despite our never having prohibition. I do have the impression of far less police and administrative corruption back then, relative to the USA, but I have somewhat the same impression of the period before prohibition. So perhaps we are only talking about a difference of scale – if indeed there is one. You could buy drugs kits to send to soldiers at the front in WWI. It was a lot more relaxed back then. I think heroin was outlawed during the 1950s. It was mostly doctors in the UK who were addicted. Prohibiting anything involving having a good time of whatever kind never works. The loss of momentum was mostly caused by the change of the United States from a primarily rural population to a primarily urban population with the change in balance expected to be reflected in the census of 1920. The urban populations (especially the relatively recent Irish, Italian and German immigrants) were more supportive of alcohol and therefore opposed prohibition. It is part of the thread of Ken Burn’s Prohibition series. Can’t find the third one (A Nation of Hypocrites) which was about repeal. The current war on drugs would have been over had Scalia had the fortitude to press the Court’s federalism revolution to its logical conclusion. But he couldn’t bring himself to do it, so in the end the Court did not have the votes to limit federal authority over drugs, and the federalism revolution died on the vine. I don’t understand how Scalia’s “lack of fortitude” caused this lack of votes. He had one vote. He was unable to convince his colleagues to vote with him on this issue. How does this translate to a lack of fortitude? Scalia wrote a concurrence in Gonzalez v. Raich, but even if he had dissented it still would have been a 5-4 decision. Thanks for the links, JG. The idea that Prohibition was a movement of rural hicks is false – Prohibition, like the bans on drugs, was part of the PROGRESSIVE MOVEMENT which was controlled by “educated” “intellectuals”. Yes the movement had rural supporters – but it was controlled by the “educated” Progressive elite. Nor did the end of Prohibition have anything to do with President Roosevelt (although he took the credit) – it was repealed by the same process it was enacted, a Constitutional Amendment. Time enough, but was it a cause? Certainly gave the Mafia a boost and led to more corruption of police and politicians, but how well can we know the road not travelled? Had we never prohibited alcohol, the Mafia, corruption of officials, and all would still be with us. And probably not noticeably different in scope or intensity at this point in history, though clearly things were made worse at the time by the 18th Amendment. Allow me to provoke: in the 1930s the average person could be trusted to not go crazy with alcohol or drugs. The 18th Amendment was a mistake, unnecessary for the general welfare. In fact it made things worse as noted by most here. However, we have now lost, mostly, the civic institutions necessary to produce citizens who can show such restraint, present company excepted of course (and many others, but not the vast majority). The 1960s taught us, and now our kids, that anything goes. The least worst remaining option is for government regulation of potentially dangerous things like drugs. Maybe another way to put this is “left on his own (no govt interference), how much worse off is the average Joe (Millennial!) with respect to substance abuse than in the 1920s or 1930s? I think much worse off now, but why?